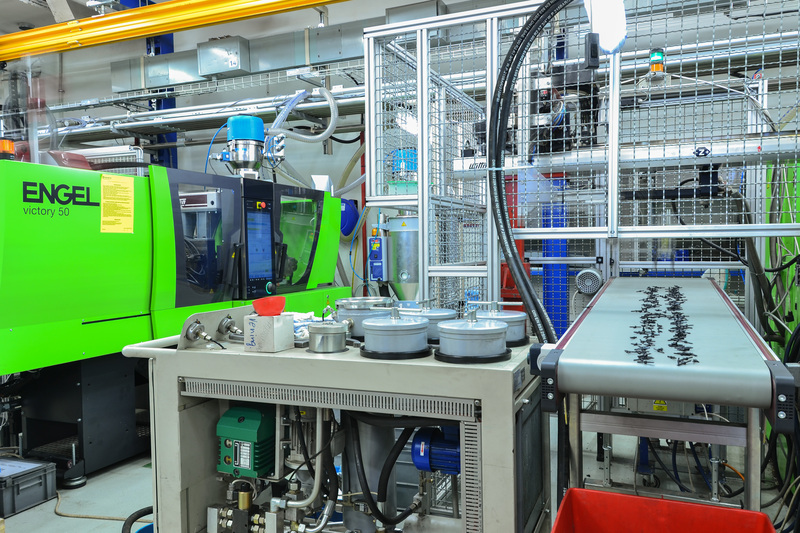 Our company uses technology of the injection for the injection moulding of thermoplastics. 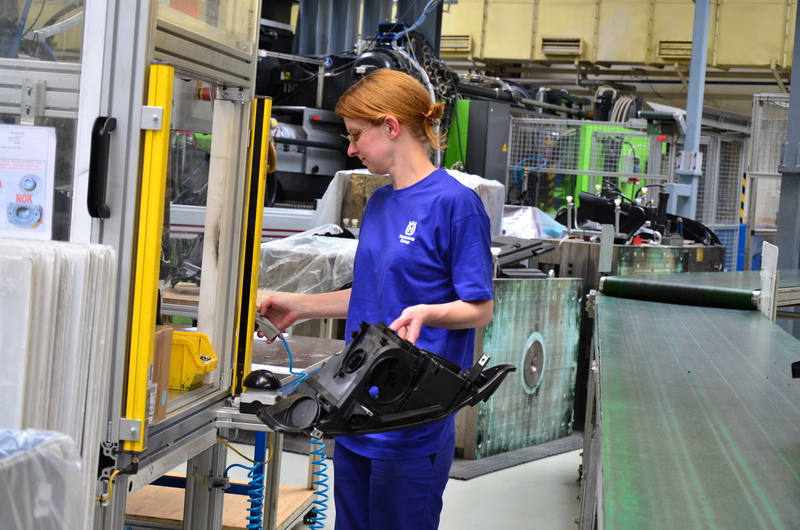 Various plastic materials are supplied by a number of domestic and foreign manufacturers, such as BASF, Bayer, Du Pont, EMS, TICONA and others. We are able to apply printing by the technology of silk screen or pad-print, or by technology IML (in mould labelling). We can also weld plastic parts by ultrasound, vibrational or hot plate. PP, ABS, PA, PS, PBT, POM, etc. 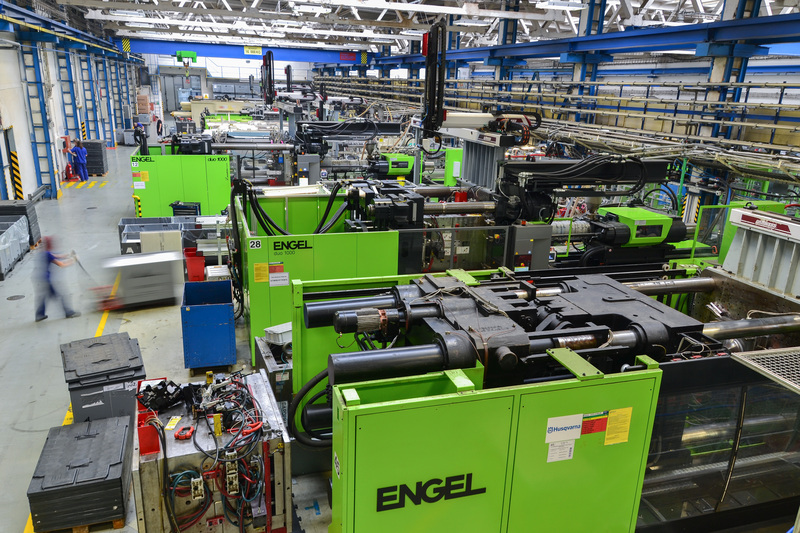 For injected parts production we use modern injection moulding machines of leading European brands. 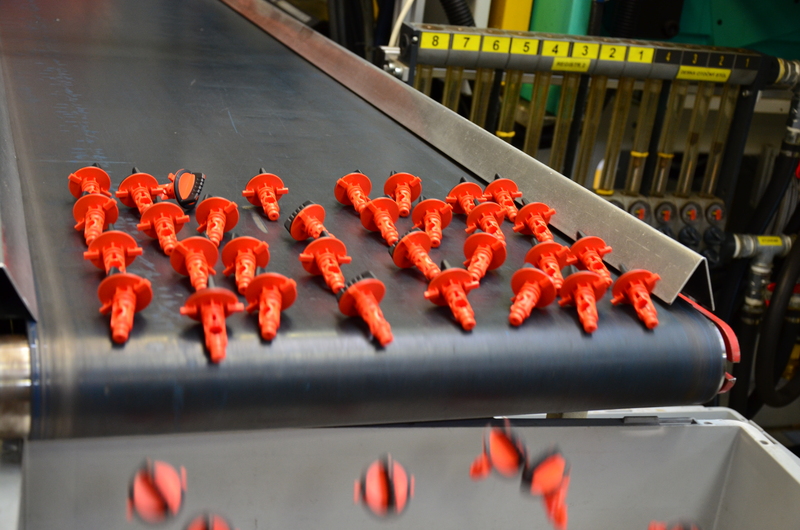 High-quality processing of plastics is guaranteed by the quality of the corresponding machinery. 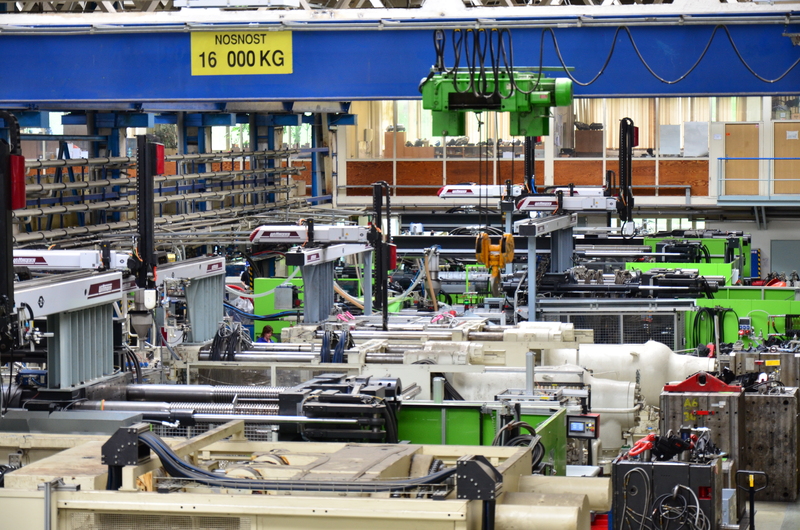 We use continuously renewed machine park with CNC control, robots and conveyor belts. 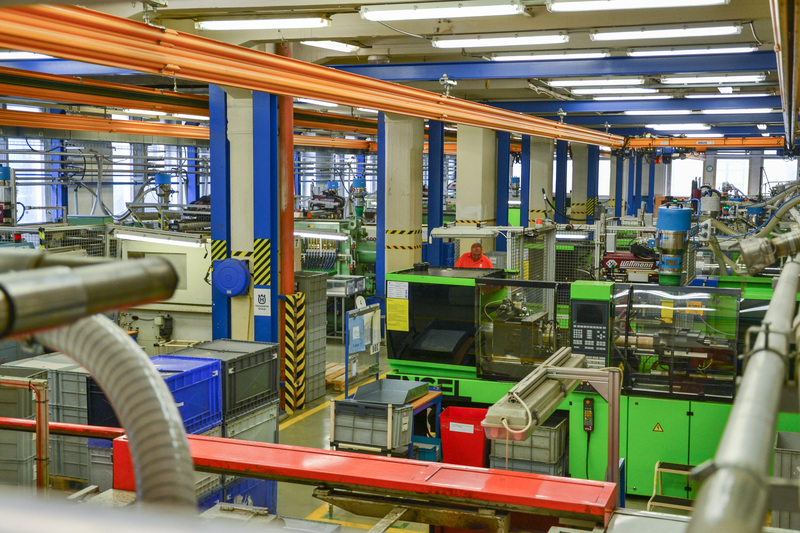 The technological facilities allow us to meet strict criteria of the automotive and electronics industries. 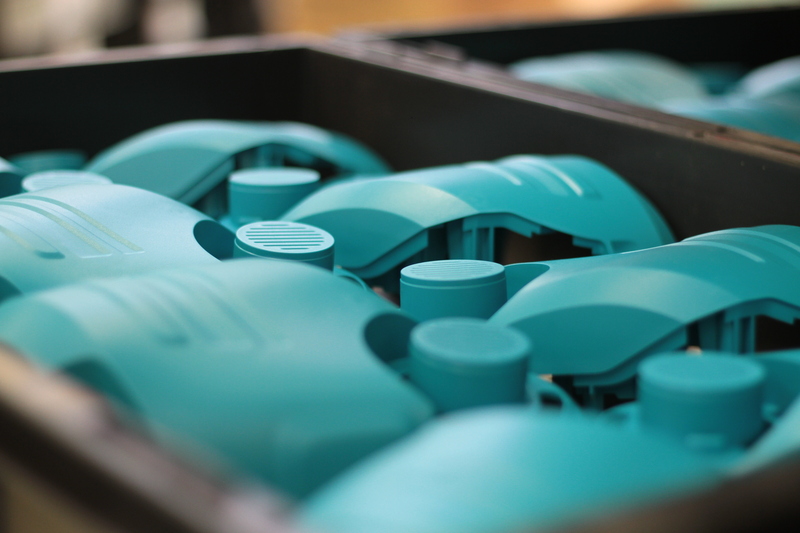 We have machinery with a clamping force of 25 to 1500 tonnes enabling to produce a wide range of injection moulded pieces weighing from 5 g to 5000 g.
We own the technology of multi-component injection 2K and 3K producing high quality plastic parts of different materials or colour during one production cycle. 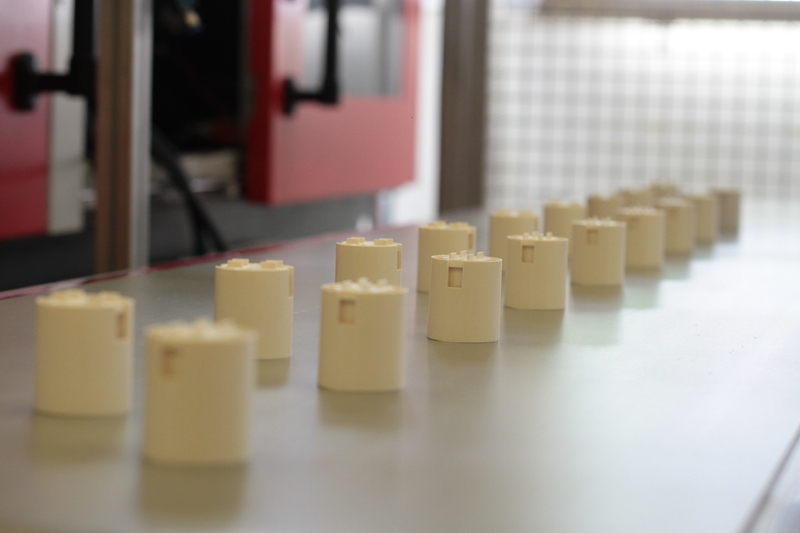 Are you interested in the production of plastic moldings made of quality material? Write us.